WHILE NERVE RADIO PREPARES ITSELF TO RELAUNCH WITH A WHOLE HOST OF NEW AND EXCITING SHOWS, ONE OF NERVE’S FLAGSHIP PROGRAMMES FROM LAST YEAR IS RETURNING WITH A WHOLE NEW LOOK, A WHOLE NEW SET OF INCREDIBLE NEW TUNES, AND EVEN A WHOLE NEW PRESENTER TO RUN IT. IN ADVANCE OF ITS NEW SERIES PREMIERE, JAMES STEPHENSON WILL BE POSTING WRITTEN ARTICLES TALKING ABOUT HIS PICKS FOR THE BEST NEW MUSIC RELEASED OVER THE LAST WEEK, AND WILL CONTINUE TO DO SO THROUGHOUT THE REST OF THE YEAR. SHOWCASING THE BEST NEW RELEASES FROM ESTABLISHED ARTISTS, AS WELL AS UP AND COMERS WHO DESERVE A SLICE OF THE SPOTLIGHT, THIS IS THE ONLY PLACE YOU’LL NEED TO FIND SOMETHING NEW TO LISTEN TO. DISCOVER SOMETHING NEW BY LISTENING TO NERVE RADIO’S NEW MUSIC MONDAY WITH JAMES STEPHENSON. Seven days have past since we last met, but there’s been an absolute heap of new music to fill the void; tracks from genres far and wide, some fantastic and some…well, they exist. As always, there were far too many tunes that didn’t quite make the grade for my Tracks Of The Week, but are all worthy of checking out on the now traditional New Music Monday Spotify Playlist. Highlights this week include Take That deciding electro-swing – that most immoral of genres – is the new way forward (you couldn’t make that song up), a song that sounds like a discount ‘Blue Monday’, and the completely not narcissistically titled ‘Planet Of The Simius’ by Kid Simius, that’s actually pretty good to be honest. Lend your ears to all those slices of madness and tons more by clicking these wonderfully orange words. But now, before I lose those ears, I reckon we best get on. The eight gems of this autumn week are as follows. We begin in the US of A – Maryland, to be exact. 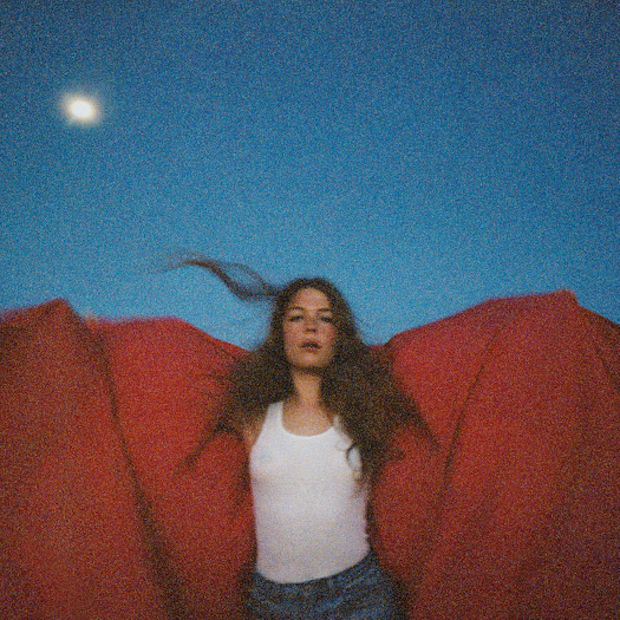 This woman isn’t auditioning to be Batwoman (although this image beats the other one that came out this week), but is in fact singer-songwriter Maggie Rogers, whose country and blues-infused pop music has been steadily building steam for a little while now. 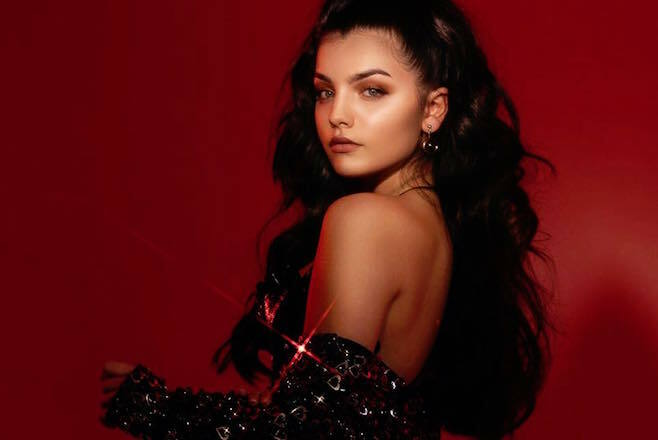 And her latest single ‘Light On’, from her upcoming album ‘Heard It in a Past Life’ to be released in January of next year, is absolutely fantastic. Rogers is the type of artist I love talking about on this show: she lives and breathes music, it seems. She recorded her first album The Echo in a converted broom closet at her high school during senior year. I used to get locked in those for a laugh by idiots – she made an album. Contrast. Her productivity is to be hugely admired. But not as admired as her song-craft, which is fabulous: ‘Light On’ is a classic pop song down to a T but with a ruggedness and heart that really elevates it. The track has a gorgeous piano on it, that echoes like its been recorded in a massive church. And Rogers delivers a pristine vocal that slides into folk and country just as much as it does standard pop melodies. Rogers is a singer-songwriter with a massive future ahead of her, and her album is on my must-listen list already. Now this is a beat. Toronto trio Keys N Krates are the group who’ve come up with this terrific instrumental, and together with vocalists Mickey Shiloh & Noah, they’ve made an alternative hip-hop track that combines a great beat with shimmering synthesisers – kind of like Flume remixing a Logic track. Signed to Steve Aoki’s independent record label DIM MAK, which spawned The Chainsmokers amongst others, Keys N Krates might be headed in a similar direction. While their production is first-rate, the song gets even better still thanks to Mickey Shiloh’s brilliant, charismatic vocal riding over the beat with boundless energy. The track’s called ‘Getaway’, and the packed production on this record lets you get lost amidst all the great instrumentation on this record. This track should land perfectly for any late night cool-down you have this week. 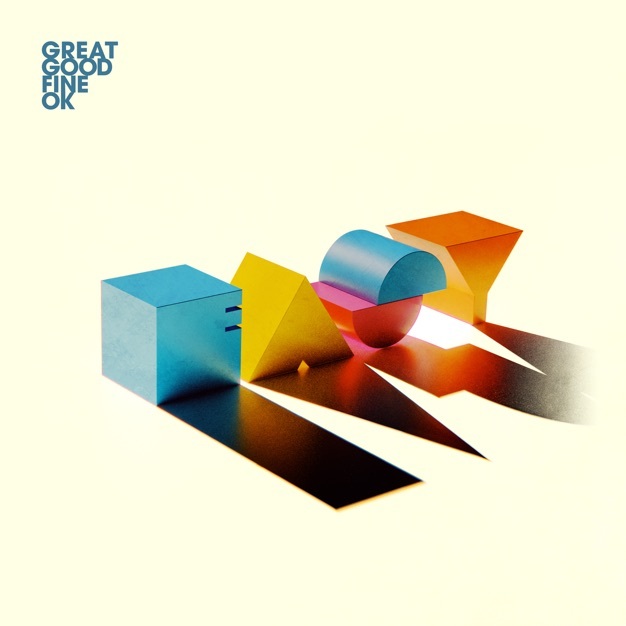 Great Good Fine OK are one of my favourite pop groups of this decade, but next to nobody has a clue about them. Fortunately, with New Music Monday, I can try to give you guys a heads up on artists that I feel like need a listen. And when this New York based duo dropped their new single ‘Easy’, I rubbed my hands together with a smirk. GGFO have been putting out synth-pop banger after synth-pop banger for five years now, and their latest track has everything I’ve come to love and expect from vocalist Jon Sandler and instrumentalist Luke Moellman – cascading pads and synths, punchy bass, and Sandler’s love-it-or-loathe-it falsetto vocal. I won’t judge if you’re not a fan: it often reaches dog whistle frequencies. If you’re a fan of this luscious track though, which has a swooning electric guitar straight out of a Tears for Fears record, I would strongly recommend diving through their discography: it is chock full of great stuff, and I doubt you’ll be disappointed. In my ideal world, these guys would be massive, but I’m fairly content for them to be one of my little secrets. ‘Ottolenghi’ is a bit of an odd title, isn’t it? 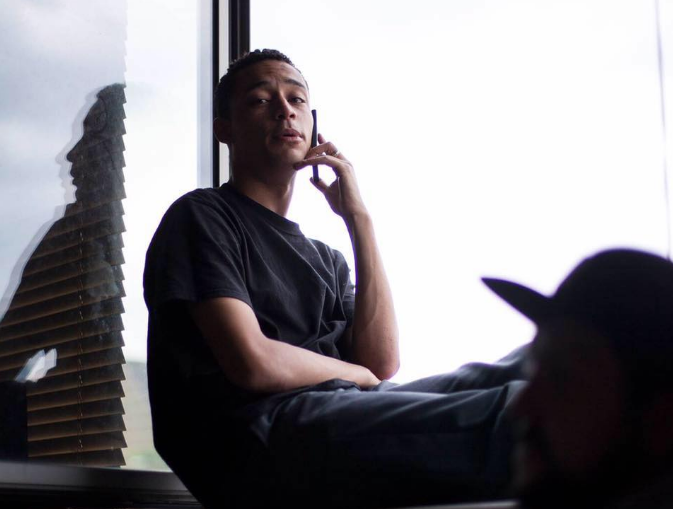 Turns out this track from Mercury Prize-nominated British rapper Loyle Carner is titled so strangely in tribute to an Israeli chef, Yotam Ottolenghi. But while you might be expecting a recipe book in musical form based on that (Carner actually runs a cooking class for kids with ADHD: we need more guys like this), ‘Ottolenghi’ is thankfully not that. What it is is a masterwork of confessional, laid-back hip-hop. God this is good. Carner’s flow is flat-out stunning – not for its speed, but for the way it feels so effortless and yet, he gets so many words out in such a laid back style. The words themselves are gorgeous too, as Carner sows a tale of a young family on his train ride. Behind him, there’s a gorgeous lo-fi beat, with sparse keyboards that twinkle across the track – it makes ‘Ottolenghi’ feel more like a dream than a song. It entrances you. Jordan Rakei also lends a helping hand with a wistful vocal on the chorus that adds to the dream-like quality of this song. This one sneaks up on you and completely envelops you in its charm. ‘Ottolenghi’ might have a near unpronounceable title, but as a song it is a true delight. Its the exact sort of thing the SRA NOMINATED So Cosy Radio had when it was on. One thing you can trust New Music Monday for is a hell of a lot of weird genres. 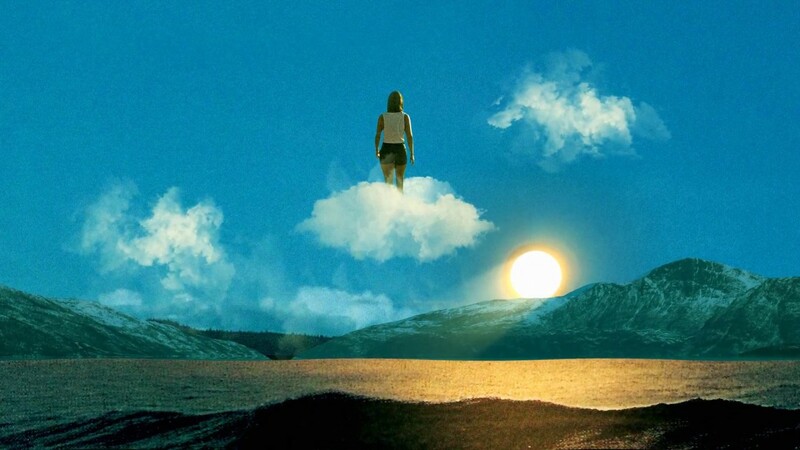 Last week we had progressive rock courtesy of Coheed & Cambria, we’ve had Soundcloud rap in the past, and now we’re diving into melodic dubstep. Yes, dubstep. No, I’m not 14. While some dubstep is categorically awful, screechy and sounds like a traffic jam from a world without hope, I still maintain that there are a small selection of producers who can make this genre not only work, but make some of the best music out there. 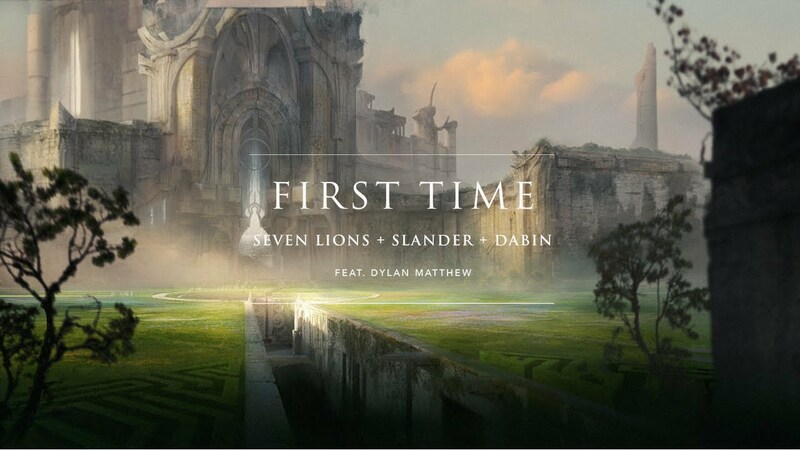 Two of my personal favourites, Seven Lions (who I once picked when guesting on NMM last year) and Dabin, have collaborated this week along with fellow producer Slander and vocalist Dylan Matthew on new single ‘First Time’. This song has an absolutely brilliant rhythm, and Seven Lions is probably the best producer working right now when it comes to build ups. The drop is maybe a tiny bit glitchier than I’d like, but its still a really satisfying payoff. Singer Matthew also does a really great job on this record, with his soulful tone working with the synth-heavy rhythms much like a glass of old wine with cheese. EDM gets quite a bad rap in my opinion, but its tracks like ‘First Time’ that keep me a firm fan of the techno scene. These producers know exactly what they’re doing, and ‘First Time’ can even be genuinely moving in its verses – its amazing what effect a few synths have on this music fan. Victoria Dennis is a DIY musician – no label, self-released, a product of the Spotify age. She’s on their New Music Friday UK playlist this week despite not having any record company backing with ‘Fire Kind’, an evocative and atmospheric pop track with a really excellent hook. And, perhaps most importantly, Victoria Dennis is SIXTEEN. She’s managed all this at a tender sixteen years of age, which is frankly frightening to this twenty year old radio presenter. Not only that, but ‘Fire Kind’ has a maturity about it – Dennis has a really nice, wistful tone on this record that brings you right in, and her lyrics are pretty good as well considering just how young she is. Dennis also doesn’t have a Wikipedia page yet, which makes her the exact sort of artist that I love finding out about picking songs for this show: near-complete unknowns who genuinely do deserve far more listening ears than they have at the moment. If this high school freshman can keep building on her obvious talent, she should be able to get those all by herself. Her website also tells me she has an English Bulldog called Rocco, so I’m wishing that beautiful creature good fortune as well. Kim Cesarion might have one of the most intriguing backgrounds of a musician I’ve ever come across. He was born in Stockholm, Sweden to a Greek mother, plays violin, viola, double bass and drums along with being a singer-songwriter, and attended a classical music school in Russia of all places. And yet, the thing I’m still most interested in about him is what was going through his head when he picked out that hat for this single artwork – its like a beret and a flat-cap mixed together. Fashion choices aside though, Cesarion has put together a really nice, brooding pop track in ‘Bleed’. If you’re a regular reader, you’ll remember my proclamation a few weeks ago that Scandinavians hacked pop music decades ago and have been doing it bigger and better ever since; Cesarion is yet more evidence of this. He’s got a sultry, radio-ready voice that sounds fantastic washed in to this layered, slightly dark bop of a record. Pop music in sepia tone. Rounding out this instalment of my Tracks Of The Week is a band called Arctic Lake, a London-based trio whose new EP ‘What You May Find’ dropped on Friday, and while not eligible for Album Of The Week (its just a tad too short for a full-length record), its a complete gem. And the undisputed standout from it is the track from which the EP gains its title. ‘What You May Find’ feels more like a film than a song at times – its so cinematic, transfixing, powerful. The star of the show is Arctic Lake’s singer, the wickedly talented Emma Foster. She has a voice that wails wistfully at lead characters in fantasy films, telling them their quests are not yet finished. You might say she sounds like the lead singer from London Grammar, and you’d be dead on because she does: but that’s like saying LIDL’s own brand cereal tastes like Kellogg’s. The taste is still good. In Foster’s case, the taste is wonderful – her voice is just perfect on this. Perhaps just as good is the music underneath, a collection of well placed piano chords and percussion held together by a swooping, haunting string section. 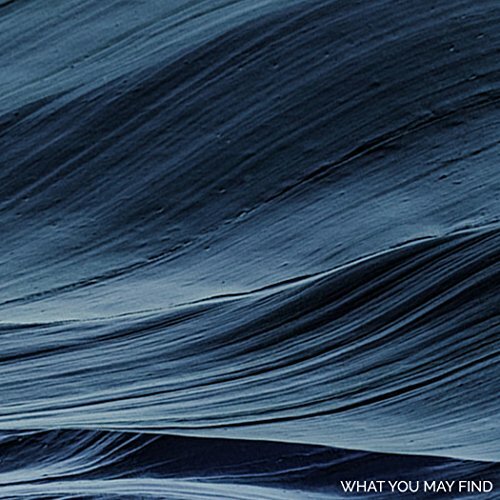 And from its mysterious start, ‘What You May Find’ only grows louder, more evocative, stronger. This is a hell of a record, and its placement on this list is richly deserved. Elton John likes this band – we should too. To be honest, its been a fairly quiet week on the album front, with plenty of vinyl re-issues but not an awful lot in the way of new records. There’s still a few records worth a listen if you have the time this week though: Ella Mai‘s self titled album is a solid debut that showcases her unique and soulful voice – one of the tracks from that record, ‘Good Bad’, is on this week’s playlist for your quick and easy listening pleasure. Same goes for ‘Yeah Bones’ by Kurt Vile, which features on the playlist coming from his newly released album ‘Bottle It In’, which has an old school, folk-rock sound and some really nice guitar riffs. Finally, I would be missing a great opportunity if I didn’t talk about ‘QUAVO HUNCHO’, the latest in a swathe of records by the king of the ad lib, Quavo. As you’d expect, it has a lot of songs on it that blend into one another (nineteen of them to be exact), and it also features all of the big names in hip-hop right now: Drake, 21 Savage and both of his fellow Migo’s (is that gramatically right? Is there a way to be gramatically right with the Migos?). There’s even a track with Madonna AND Cardi B – the title, ‘CHAMPAGNE ROSE’, is the most Migos title that it could have had. But my pick for Album Of The Week this time out is one I imagine we’ll be hearing all year. If Jess Glynne releases something, it goes to the top of the charts. Its been true for years. And yet the most interesting thing about her meteoric ascent to the very peak of pop in this country is that I’m yet to meet a Jess Glynne super-fan. Her colossal popularity is perhaps caused by, in part, her inoffensiveness. Jess Glynne songs never really get a backlash – at the very least, the consensus is they’re tolerable, and a lot of Jess Glynne songs are really decent pop records. But again, it seems like evidence that the path to the farthest reaches of this industry is by making consumable chunks of music, rather than anything hugely daring. ‘Always In Between’ is still the album of the week though, albeit in a quiet one. Some songs on Glynne’s second full length record are very good, and nearly made the cut for the list this week – ‘Won’t Say No’ and ‘Broken’ are particularly strong, with Glynne’s raspy tone sounding better than ever in front of solid, if unspectacular, instrumentation. And the massive singles released in the lead up, ‘I’ll Be There’ and ‘All I Am’, fit well with the record and show why they did so well on the charts. But the cold truth is that Glynne’s latest record is mostly popular because it is easy to listen to. The album is almost completely devoid of musical challenges, and reflects that music seems to be leaning more and more in that direction. A couple of tracks on the album sound like Adele songs – but Jess Glynne, however good of a singer, ain’t no Adele. However, Glynne’s songs are easy to listen to because they’re constructed in a professional, highly calculated way, and this album is the product of very experienced songwriters. For that reason, ‘Always In Between’ takes home the prize this week. But hopefully next week sees some more challenging full-lengths come on to my radar. New Music Monday will make its long-awaited return to the Nerve Radio digital airwaves and the speakers of the Student Centre soon – and will broadcast live every Monday at 6 (excluding holidays of course). CLICK THIS LINK FOR THIS WEEK’S PLAYLIST! Got a track, or manage/represent somebody who does, that you’d love to be featured on the show? Let me know by emailing me via james.steph9945@hotmail.com with the subject line ‘New Music Monday’!